As parents you will no doubt be aware that social gaming addiction in our youth is a very hot topic in the press at the moment. Loreto is passionate about safeguarding children and strives to stay at the forefront of educational trends. On the 31st January we are able to partner with YGAM, one of the UK’s leading addiction charities, to deepen our knowledge in this area. Our staff will dedicate a whole day of training and awareness focusing on this critical subject, but we are equally delighted to be able to invite you, our parents, to an hour-long session with YGAM. YGAM are only in Gibraltar for a couple of days so we are very fortunate that we are able to offer our parents the opportunity to meet with them. Adrian Sladdin, a former English teacher, is a pioneer in this field. 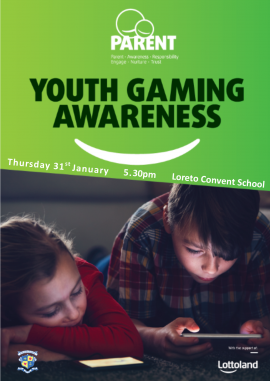 His knowledge, training expertise and passion will provide the perfect framework for a lively debate about how we, as your educational support, and you, as parents, can support and nurture our children regarding social gaming. The Young Gamblers Education Trust delivers accredited training to teachers and other education professionals around young people and problematic gaming and gambling. Our new parental session offers information, advice and guidance to those who may be concerned about their son’s or daughter’s on-line gaming and gambling habits, as well as a practical set of activities to take away at the end of the session and lasts for about an hour with the chance to ask questions at the end. Do you know the length of screen time that is healthy? Have you ever considered if Fortnite is addictive? Who your child’s “friends” are on social media? Are you interested in some answers? 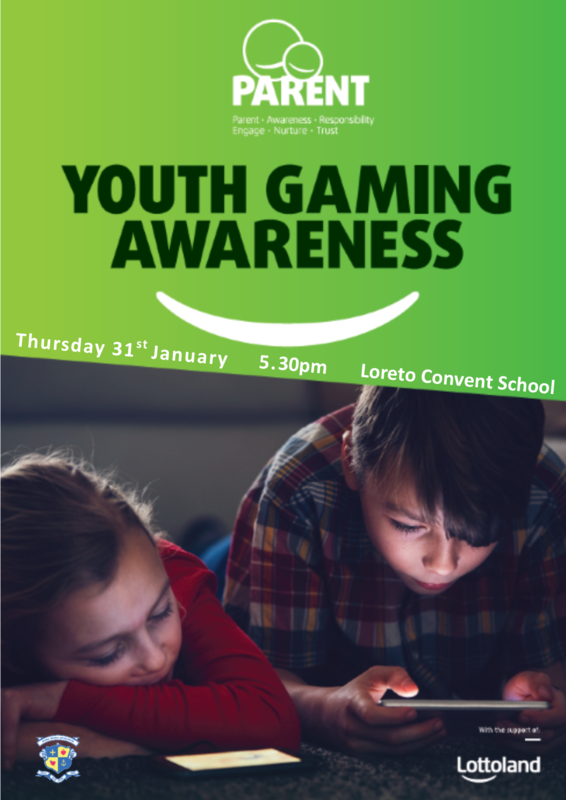 Then please join us at 5.30pm on Thursday 31st January at Loreto Convent School. All parents of children in Gibraltar are being asked to complete this short survey to help gather data on social gaming within Gibraltar.